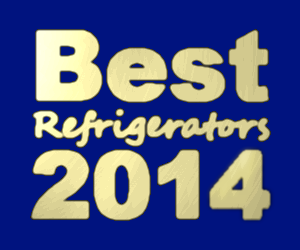 The vintage look is back in style this year, and built-in refrigerators are steadily becoming more common. Here’s some ways you can update your kitchen with a new fridge while keeping up with the latest trends. When contemporary kitchens were popular it was much easier to get an appliance suite. You just had to go pick out a stainless steel package and any would do. 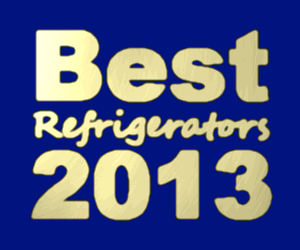 In 2013 we’re seeing fridges that look like furniture, fully integrated designs, and expensive custom cabinets (and handles!). This is better suited to the popular farmhouse style. There is a compromise between vintage designs and modern functionality this year. 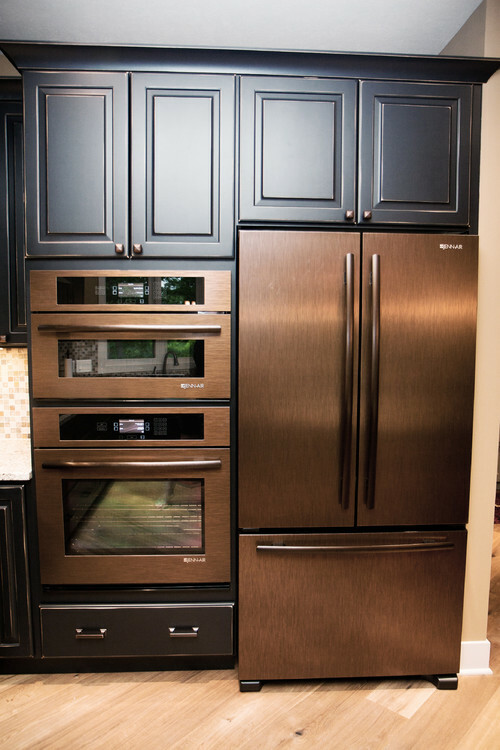 There are a lot of panel ready refrigerators like the KitchenAid Architect Series II KSSO42FTX that are typically shown in a shaker style panel. This year bead board is a big trend on fridges and it helps to make it look more vintage; plus it will match country kitchen cabinets this way. 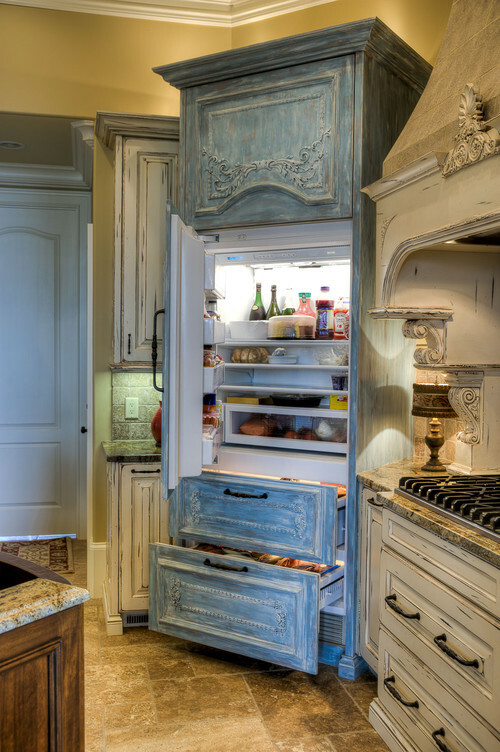 Most of these style refrigerators will also use ornate handles and built-in’s on either side for more storage and so it looks more like a hutch. You may have your heart set on a really modern stainless steel refrigerator with a built-in water dispenser but this seems to directly conflict with a casual farmhouse look. Stainless fronts like the KBUDT4255E from Thermador or the FPUS2698LF from Frigidaire may seem to conflict directly with this. Have built-in cabinetry in a weathered wood tone to match this. Then make a big statement somewhere else in the room so that the appliances aren’t the focal point, such as this farmhouse style island by JD Hunt Construction. 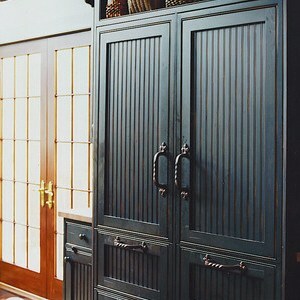 Usually in order for an appliance to look like cabinetry it has to have a panel front to it. Arturo Palombo changes that concept with a Liebherr. He doesn’t say which model he uses but choose a built-in style like the BF-1061. 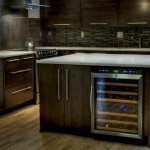 Buy the appliances first and match the cabinetry to it but in a different finish. Use continuous crown molding throughout. Usually you would try to hide a lot of the stainless steel trim and vents in order to get a vintage style. However when buying a brand like Sub-Zero the vents are really what gives it away and so you may want to showcase it. 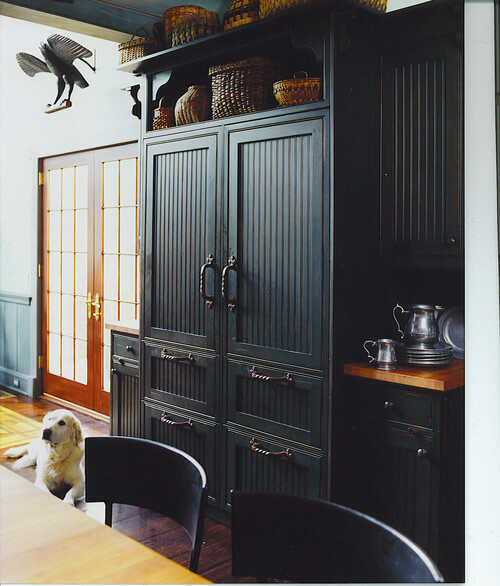 Here the fridge is similar to the cabinetry but in a darker wood tone. You could get a similar look in either an Over and Under style like the BI-36UFD or BI-42S (1067) but they are both pictured with vent covers on the manufacturer’s website. If you really want to mimic an icebox then you’re going to need oversized hinges and handles. It also helps if the doors are narrower; you can always use several to get the space that you need. 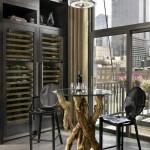 Rebekah Zaveloff says that she used Thermador Freedom Columns to create this look but didn’t specify the model number. The only two models that are currently available are T24IR800SP and T30IR800SP. 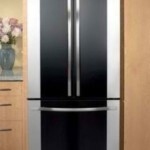 Are you sick of stainless appliances but still want a fridge that is special? There are certain styles like the farmhouse look that call for a lot of warmth and color and sometimes the most popular appliances just don’t match this. Quite a few years ago Jenn-Air released a line of refrigerators called oil rubbed bronze. There were several to choose from but currently there is just one listed on their site at JFC2290VPR. It is cabinet depth. Distressing is a popular trend for 2013 as are varying heights. 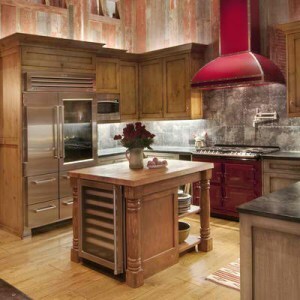 Your appliances will almost always stand out; so make it look intentional with a facade or cupboard on the top. This works best if the top cupboard is actually higher than the rest of the surrounding cabinets. 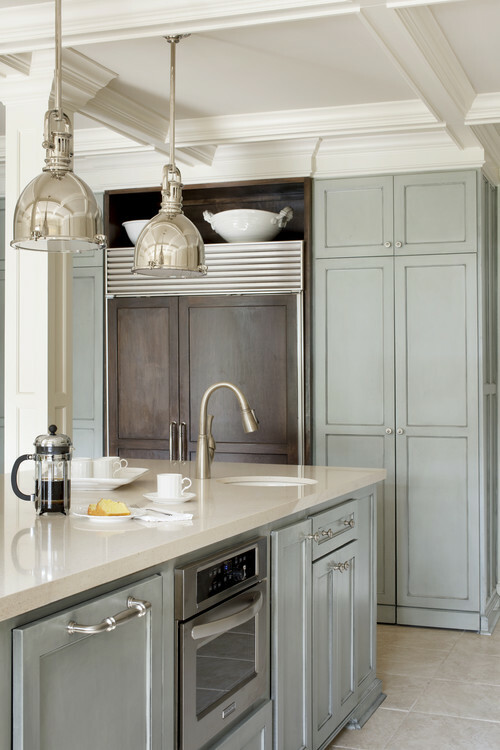 To keep up with the kitchen design trends this year get out your wallet. It’s rare to see a freestanding fridge or a black or white one. 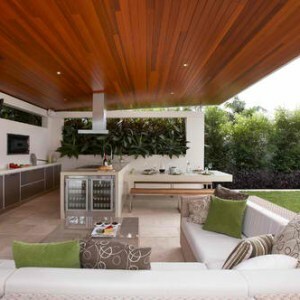 Built-in’s and fully integrated designs with custom panels and finishes are more popular.